How does he set a route? With an effort to connect the hard training moves with moves to enhance coordination and creative elements. 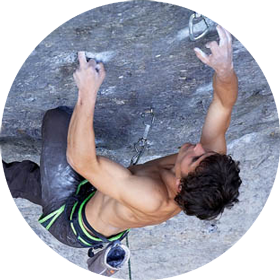 He has been climbing since childhood, devoted not only to the sport climbing but also the traditional climbing, sandstone and miltipitch climbing in the the mountains. He tries to utilize his experience during routestetting on artificial walls. He has many years of experience in commercial and competitive routesetting in the Czech Republic and foeign countries. 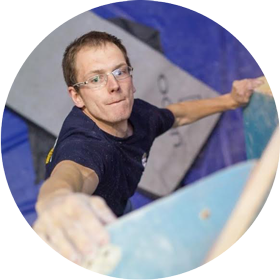 He setteled many lead climbing competitions of Czech Republic Cup for adults and children and setteled several Championship as well. 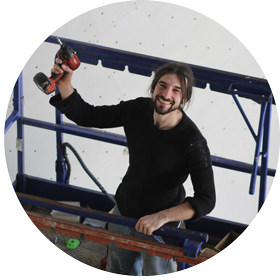 Nowadays he is the hief routesetter on the Big-wall Hudy climbing gym in Prague and cooperates with many other gyms in the Czech Republic and abroad. If you wish to contact us, please feel free to write to routesetting@tr-walls.eu or use the form bellow. Our email will be updated shortly so as our phone number.